Homesteading today is all about self support. Homesteading is primarily based on subsistence farming (Getting Started on a Food Supply Plan: Sourcing, Preserving, and Storing Food for Tomorrow’s Uncertain Times) where a homesteader builds a sort of a sustainable operation growing vegetables and fruits and caring for animals outside. You can buy our book here. Homesteading today is a lot different than conventional farming where you have a large area of land and produce. The main tools of the trade of a homesteader are food preservation and creation of other household requirements without outside intervention…checkout our Holiday Gift Ideas. Modern Homesteading today has an entirely different meaning as compared to earlier times. Traditionally, homesteaders were pioneers, who were among the first to explore or settle a new country or area. They had to live self-sufficient lives away from densely populated areas and communities. But these days, homesteaders are no longer far from the grid…but the need for solar and more important generators (Generator Reviews: Generac vs Ariens) is a must. They have built and adopted this way of life in urban communities and big cities. Homesteading today in a fast-paced modernized world can help you return to a normal state and pace of things. 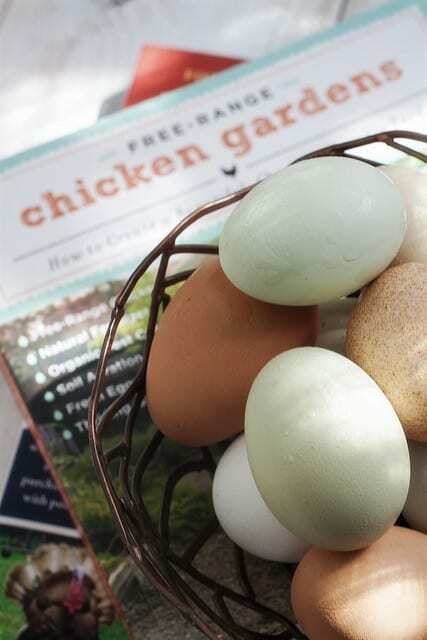 Urban homesteading advantages you can enjoy include organic gardening, organic eggs from backyard chickens and spending time with your family. This way everybody gets to give back to the community. You don’t a need a farm to start homesteading today. The basic requirements are having a space in your yard to create and sustain a cultivation yard. Homesteading today will provide you with a better way of life. It can considerably cut your groceries cost and will motivate you to eat and live a healthy life. Through homesteading not only will you learn to grow organic foods, but you will also have a chance to relax and enjoy your life. Depending on the size and scope of your space, you can build an alternative source of income through gardening and growing fresh fruits and vegetables. You can raise livestock and sell their produce. This way you will have an alternative to the robotic corporate life which most of us are trapped living in: work – home – repeat. Homesteading today can also be a wonderful source of therapy. There is solitude, time with outdoors and nature, and a sense of peace with not constantly multi-tasking at a frenzied pace in modern society. All-in-all, homesteading today is an excellent lifestyle, one which makes the world a better place for yourself and others as well. Homesteading today has become increasingly popular in the United States as well as other parts of the world. People are now motivated to live a healthier lifestyle. 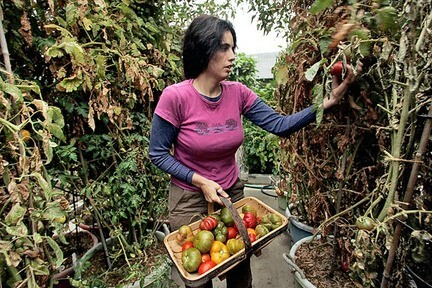 They want to take some form of control and owing to the bad economy, many people have started homesteading today. It is easy to get the motivation to grow your own produce, enjoy off-grid livingand have fun in the process. 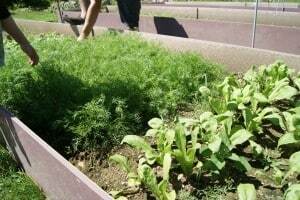 Homesteaders who are just starting out tend to begin by first growing their own food. You can try to get seeds to plant which are non-GMO. You don’t need a big area of land to start homesteading today. You can grow your own produce in a windowsill, backyard or big water buckets. If you have a small backyard, you can clean it up and make portions to plant vegetables and or plant seeds. You can even jump-start your efforts with pesticide-free starts instead of starting from seeds. For a homesteader who has just started out, it is important that he first learns to make a compost bucket. Compost is decayed organic material used as fertilizer to produce vegetables. It is very satisfying to see a plant growing from the compost that you made yourself. Backyard Chicken Farming is another extremely popular activity for homesteading today for natural organic eggs. Chickens are really efficient farm animals and can be easily contained within your perimeter. Depending on the space you have outside of the house, you can start by keeping a few chickens first, that will bring in a dozen eggs or so. Most beginner homesteaders and backyard chicken farmers when keeping hens usually start with 3 hens for the purposes of laying eggs. However, more and more somewhat residential areas are zoned for this. If you choose this way of life, you will notice a significant change in your own life in regards to health and the environment around your house. It is a very gratifying feeling, a feeling that you are harnessing the power of nature. When you talk about homesteading today it is imperative that you first get information from seasoned homesteaders. They will guide you and give you important tips on how to efficiently start building your own road to self-sufficiency. The eggs that you get from the supermarket can be old and you have no way of knowing it. By the time they come on the shelves they can even be as old as two or three months and that is by no definition fresh. Moreover, the chickens which lay eggs in huge quantities do not naturally produce a huge amount of eggs; instead industries allow for antibiotics so that the drugs can speed up their laying process. Chances are the eggs you are consuming are not organic at all and could be potentially harmful. Through homesteading today you can keep your own set of hens that lay eggs naturally. Remember to keep the hens moving from time to time so that they have the freedom to strut around and feed off insects. Plus, you can earn twice as much money if you sell fresh organic eggs. If you have a large enough property, livestock such as backyard chickens, bees (Beekeeeping), goats, rabbits, etc. can be a nice addition to a homesteader’s lifestyle. If you are fortunate and have a big area filled with grass, you can even keep a couple of cows. You can even get yourself a calf when spring starts so that it can keep the grass of your land nice and trimmed. Gradually bring in more cattle if you think you have enough land and man power that you will need as you start to slaughter the cattle and sell the meat. 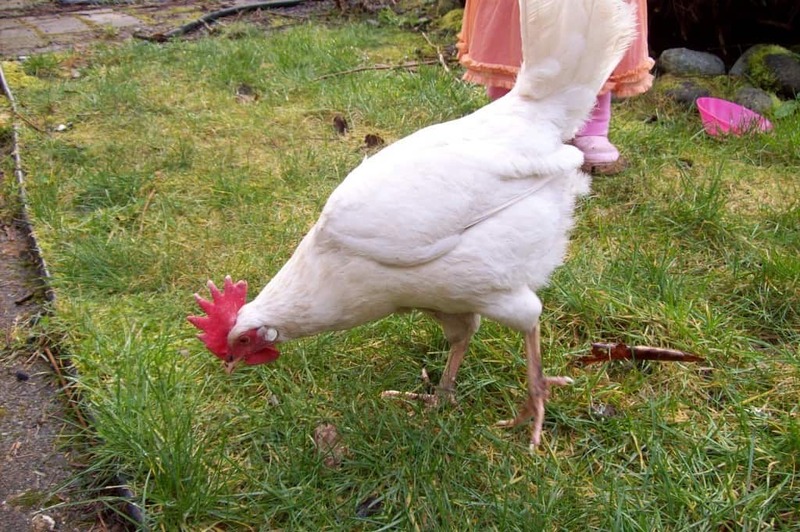 With Basics of Caring For Livestock and 10 Tips for Raising Backyard Chickens for Beginners you can generate income by selling the organic eggs and honey, and sell the meat from the goats, rabbit and cattle. Getting fresh meat these days is a blessing because most of what you see around is processed stuff. Through homesteading today you can earn money and keep the lawn nice and trimmed. If you can manage it, then it is also strongly recommended that you keep bee hives. Not only will you be able to get raw delicious honey but the bees will also pollinate the plants in your garden making them more productive. Many sources state that honey is also a good source of medicine for those who have pollen related allergies. Raw honey locally grown is a valuable item, just like organic eggs raw honey can also be sold to individual honey lovers for twice the amount. Many times, the honey you get from supermarkets is not honey at all, it is processed sugar! Milk taken from goats is really good for babies who are lactose intolerant. Based on research, many people say that pasteurized milk is quite harmful. They say that raw goat milk is more nutritious. It is safer than the milk you buy from supermarkets. So it would be good to get a goat so you can milk her and also sell the milk to health conscious individuals. Again, depending on the how much land you have you can even plant a fruit orchard consisting of seasonal and all-year fruits. Remember that growing an orchard is a long-term project in terms of money; you may get a return for this investment in over 5 years. Many people prefer selecting and picking their own fruit for various reasons such as jam making, canning, freezing and eating. By letting such customers picking out the fruits themselves, you can avoid the cost of hiring sales people and save more money. If you live in a city which has a lot of wineries then ask them if they require fresh home grown grapes for wine production. Many wineries do in fact require a large number of fresh grapes every month. This is an excellent opportunity for you to make some money, start growing grapes and earn money through homesteading today. You can set up a greenhouse in order to grow your own vegetables that you can use for eating and selling. Engage in seasonal vegetable growing on your porch, patio or in your backyard. If you have space for homesteading today you can even dig a separate garden to grow organic produce such as fresh tomatoes, squash and corn. Nothing beats produce that is grown fresh. People who indulge in fresh vegetables tend to always pay double the amount which they pay for non-organic foods at the supermarket. If you have goats you can use the milk you get from them to make natural soaps. Goat milk soaps are a wonderful source of nourishment for your skin. You can sell these soaps at local farmer’s markets, individually market them, or use a combination of both channels. You can display your animals to children on weekends by taking them for a ride in your tractor. Kids love to pet rabbits, goats and little lambs. You can sell backyard chicken coops and chicken tractors to other homesteaders and backyard chicken farmers with a few hens that lay eggs. People who love fresh organic eggs will get in line to buy your backyard chicken coops and chicken tractors. It can be an advantage to raise the hens through hatched eggs. You can even offer classes on raising chickens. If you are an experienced homesteader you can even provide classes for people who want to become like you, people these days are yearning to become self-sufficient and self-reliant. You can teach them how to successfully start homesteading today. You can use dried herbs or herb leaves to make a number of things including green tea. Herbs can be used for a number of reasons; for example they have medicinal properties and can also be used to add a great fragrance to an area. So if you grow herbs you can even sell those for a quick buck. If you have blackberries, strawberries, blueberries or any other fruit growing in your backyard you can use them to make homemade organic jam & jellies. Depending on the quantity of the harvest you can start making several jars of fresh jam and sell them. These are just some of the ways you can make money through homesteading today. All it takes is the right information and some preparation. Organic gardening through homesteading today can be really interesting and valuable. You can become self-reliant and self-sufficient by growing organic produce which you can either consumer yourself or sell it to make money. Homesteading today can be a quite an enjoyable and rewarding way of life. You eat fresh and keep fit, plus you allow others to enjoy your produce and promote health. The satisfaction of realizing that you are able to make things yourself is something which is incomparable to anything else. Homesteading Today provides a limitless scope of achieving things you thought you could never be able to find. For example, you stop being dependent on supermarkets or restaurants for food because you can make your own food. Sure, homesteading today can take a bit of time and preparation, but you can still do it. You can change and improve your health and the immune systems of your children by eating less processed food and more organic foods when you can harness the power of nature in your backyard. You can combat obesity and spread awareness regarding obesity related diseases.